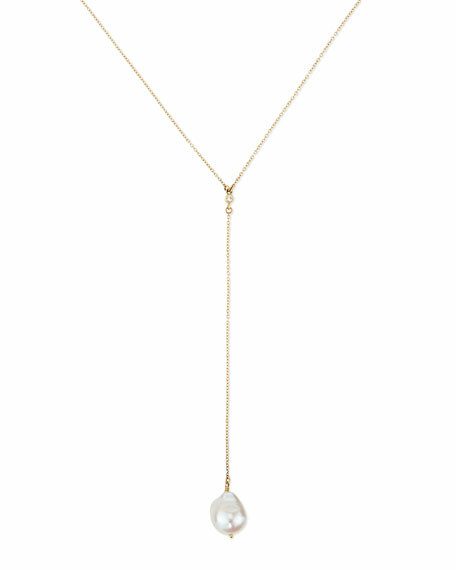 Small chain with Y drop. White diamond, 0.02 total carat weight. 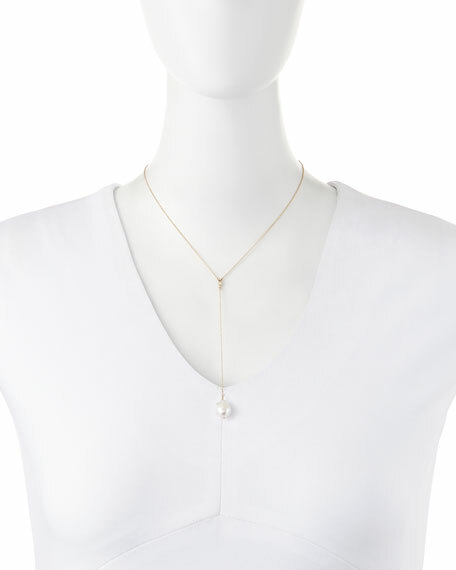 Y drop with freshwater cultured, naturally colored pearl.